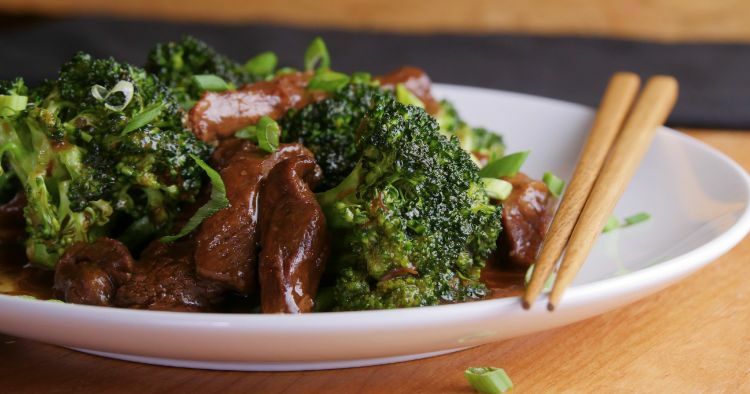 Broccoli beef is a classic Chinese restaurant favorite here in the U.S. It’s a simple dish that gets intense flavor from just a handful of ingredients—soy sauce, sesame oil, brown sugar, garlic, and ginger. There’s no secret ingredient, just a few punchy standbys that give it sweet, salty, tangy flavor. And making it in the Instant Pot could not be easier. All you need to round out this meal is a bowl of steamed rice. Brown rice makes it a really healthy dinner, but white rice is fine, too. If you like spice, feel free to bump up the red pepper flakes. Likewise, if you are feeding people with sensitive palates, cut back on the red pepper or leave it out altogether. 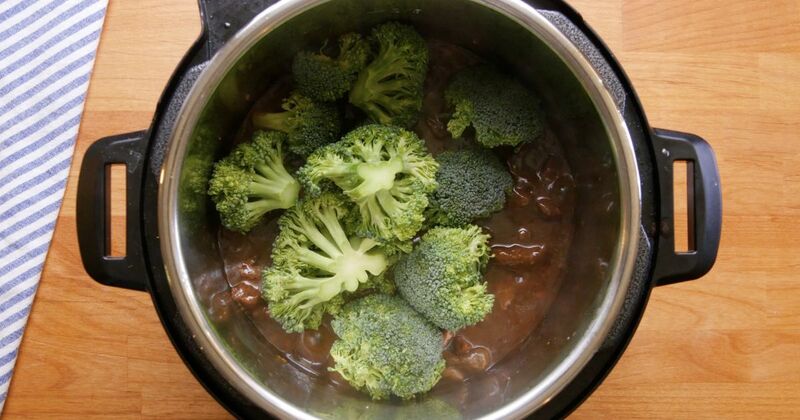 Heat the Instant Pot by selecting the sauté function. Add the oil and let it heat up for a minute or two. Season the beef with the pepper. Add half of the beef to the pot and let brown on one side before turning and browning on the other side, about 4 minutes total. Remove to a plate or bowl and repeat with the remaining beef. Remove to the plate or bowl with the first batch of browned beef. With the pot still on sauté, add ¼ cup of water to the and cook, stirring and scraping up any browned bits from the bottom of the pan, for a minute or two. Return the beef to the pot along with any accumulated juices. Add the broth, soy sauce, brown sugar, sesame oil, garlic, ginger, and red pepper flakes. Close the lid and turn the valve to the sealing position. Choose high pressure and set the timer for 10 minutes. When the cooking time is up, allow the pressure to release naturally for 10 minutes and then quick release any remaining pressure. Remove the lid and then turn on the sauté function. When the liquid in the pot begins to bubble, stir in the cornstarch mixture and cook, stirring constantly, until the sauce thickens, about 3 minutes. Stir in the broccoli and cook, stirring, just until heated through, about 2 minutes more. Serve hot, garnished with scallions.